Turkish President declares three-month state of emergency, claims foreign countries were involved in coup attempt. Turkish President Recep Tayyip Erdogan on Wednesday evening declared a three-month state of emergency following last week's failed coup, Sky News reported. 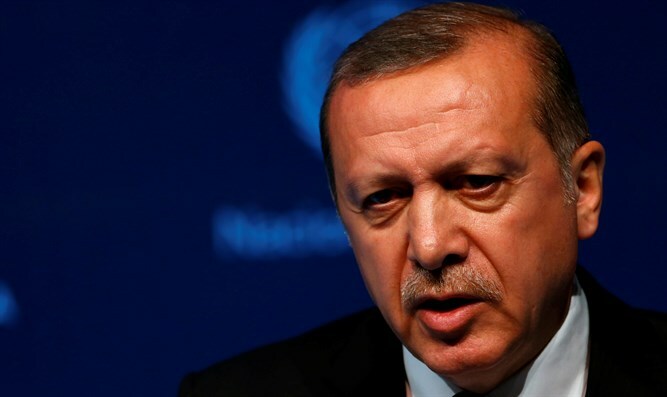 In a speech in which he announced the state of emergency, Erdogan warned there "may be more plans" from dissidents to try and overthrow the government again. He added that the state of emergency was in order to "take the most efficient steps in order to remove this threat as soon as possible, which is a threat to democracy, to the rule of law, and to the rights and freedoms of citizens in our country". Earlier, noted Sky News, the Turkish President had suggested in an interview that foreign countries may have been involved in last week's attempted putsch. Erodgan said his efforts to detain those involved, or suspend them from their positions, is far from over. He also told Al Jazeera it would be a "big mistake" if the United States failed to extradite his rival, Islamic cleric Fethullah Gulen, who lives in Pennsylvania and is accused of masterminding the coup plot. Erdogan said his administration was complying with Washington's request to provide evidence of Gulen's involvement in the coup, which U.S. officials have demanded before his deportation. Gulen has denied any connection to the coup and has hinted that it might have been staged by Erdogan himself, but also indicated that he would cooperate if the United States were to extradite him. In response to claims that he is using the unrest to seize further power, Erdogan said Wednesday, according to Sky News, "We will remain within a democratic parliamentary system, we will never step away from it."